So, the all time biggest question, what is a Scooter? Is it the same as a Moped? How Much does a Scooter Cost? Japanese and Italian scooters which are sold through authorized dealers, the price goes up significantly. For a 50cc scooter expect to pay around $3300 for something like a Vespa LX 50, which is a "classic" small scooter or something like $3000 for an Aprilia SR50 (fuel injected two-stroke) which is a little more sleek and modern looking. The classic Honda Metropolitan 50cc sells for around $2000. Going up to a 250cc, for something like an Aprilia SportCity 250 expect to pay around $4600, or $5400 for a Honda Helix. If you go to larger scooters like the Honda Siver Wing (580cc) you'll pay $8100 ($8600 with true APS braking). The 400cc Yamaha Majesty sells for around $6100 and the Suzuki Bergman 650 will cost you $9000. Small 50cc scooters ("Mopeds") are good for about 30 mph, maybe 35 mph in some states without speed restrictions. They will just about keep up with urban traffic, but you have to ride them WOT (Wide Open Throttle) do to that. This can be good for novices and young riders because in most of states the rider does not need a motorcycle license to operate a 50cc less scooter, but the inability to keep up with faster traffic can sometimes be a hazard as cars try to "squeeze" past you when there really isn't room. 150cc Chinese scooter. It might look fast, but it's not really very happy above 60 mph. Mid sized 150cc scooters are good for 55-65 mph, though with a long enough run at it they may get up to 65+mph, especially if there's a tail wind or slight downhill grade. 45-50mph is enough to keep up with most urban and suburban traffic, though it's really not enough to flow with the traffic on a freeway, where speeds of 65-75mph are more normal. We��d certainly recommend a 150cc scooter over a 50cc scooter for commuting unless you live in Manhattan. Most of the 150cc scooters cruise quite comfortably at 45-50mph. If you want a high speed machine, you would probably be better off with a motorcycle.? 250cc scooters are just about OK for freeway use and should be able to cruise at 60mph and get up to speeds of 70mph or more if pushed. We wouldn't recommend riding anything less than a 250cc scooter on the freeway, you might want to check on our 300cc motorcycle that is listed on our website. What MPG Does a Scooter Get? This depends mostly on the engine size. The smallest engines are typically 49cc and they can give up to 90 mpg, depending on what type of riding you do and how much you weigh. Obviously if you weight 300lbs and do mostly short "stop and go" trips you'll get a lower mileage than if you weight 100lbs and travel mostly on long trips at modest speeds. At the extreme, we've seen figures of 110-120 mpg for 50c scooters when the rider was trying their best to drive as economically as possible. 150cc scooters aren't quite as frugal, but we've seen reports of up to 85mpg. With the larger engine sizes (300cc) you should still get around 70 mpg from a scooter traveling at legal highway speeds. That's about the same as a Toyota Prius Hybrid, but the scooter will be a lot more fun! Motor Scooter wheel size varies from a minimum of about 10" to a maximum of around 16". Most are either 12" or 13". This is the size of the metal wheel itself and doesn't include the tire. The measurements is the diameter of the wheel rims The tire may add 5" or 6" to the diameter. My scooter has 13" wheels (rims), but the tire measures about 19" across in total. So what are the advantages and disadvantages of different sized wheels? Well, the smaller the wheel the more maneuverable the scooter can be. The smaller wheel has less of a gyroscopic effect making it somewhat easier to turn (though this also depends a lot on steering geometry). So in general, scooters are more maneuverable than motorcycles (which have larger wheels). The converse of this is that larger wheels may give better stability at speed. The downside of smaller wheels is that they don't roll over obstructions in the road as well. Just think of a pothole in the road. If it's a large hole and a small wheel, the wheel could fall into it! Even if it's a raised obstruction like a tree branch or a curb, a larger wheel will roll over it with less effort than a small wheel. That's one reason why off-road trucks often have monster wheels. When you're driving over rocks a big wheel makes life easier. Similarly, if you're riding over roads filled with potholes (for example New York City! ), you'll value larger wheels. While a few scooters have 16" wheels (e.g. MC_X1507) and a few have 10" wheels (e.g. MC-U1504), most scooters have a 12" or 13" wheel which is a reasonable compromise between maneuverability and stability. Scooter tires come in all sizes of course, with a typical 13" wheel scooter tire having a designation something like "130/60-13". The "13" refers to the wheel rim diameter. The "130/60" part indicates that the width of the tread is 130mm (5.1") and that the tire has an aspect ratio of 0.60 (or 60%), which means that the sidewall height is 60% of the width of the tire. Some tires are designed for front wheel use, some for rear wheel use and some can be used on either wheel. Though most tires today are tubeless, there may still be a few tires which require an inner tube, especially on older scooters. The tread pattern may be directional, meaning that it has to be mounted the correct way around to perform properly and there should be an arrow on the sidewall which shows which way the tire should rotate. You may also see a speed designation on some tires between the "130/60" and "13". This is a letter which runs from "J" to "Y". "J" indicates the tire is safe to use up to 62mph, "L" is up to 75mph, "N" is up to 87mph, "P" is up to 93mph and "S" is up to 103mph. You probably won't be going any faster than that on a scooter. However there is a "W" designation shows the tire is safe up to 168mph. As far as I know there are no "W" rated scooter tires! Most scooter tires will be priced in the $55-$85 region. If you are located in CA, and you are picking up from our retail store, you can choose to have your scooter fully assembled and inspected by our trained mechanics. If you order the scooter through our website, you'll have some work to do. It will arrive in a steel cage inside a cardboard box. First remove the cardboard box. This is the easy part! Then you'll need to take apart the steel cage by removing all the nuts and bolts holding it together. At some point in the process you may need a second person to help you by holding the scooter upright while you remove the last few bolts and possibly the bailing wire used to secure the scooter to the base of the cage. Most of the scooters we carry already have both wheels attached, you can roll it out of the case and set it on the center stand. Now you can look for "assembly instructions", which with the average Chinese scooter will be one sheet of paper which says something like "attach the rear view mirrors, install the battery, etc.". You may have to use some ingenuity to figure out how to do all this, but it shouldn't be beyond the capabilities of any amateur home mechanic. It may help if you have a decent socket set, screwdriver set and set of metric wrenches since the supplied "tool kit" usually leaves much to be desired. Batteries are typically shipped "dry" with the acid in a separate container. You have to add the acid to the battery and leave it for 30 minutes of so before using it. After this it shouldn't need to be charged to start the scooter. Once you have all the parts attached (and that will include at least mirrors, seat, rear carrier, battery and floor mats), and you've waited about 30 minutes after adding acid to the battery, you'll be ready to start the scooter. If you just put fuel in the tank, you may have to crank it quite a few times before it starts since the fuel has to get to the carburetor and fill the float chamber before gas gets to the engine. You can prime the carburetor by disconnecting the fuel hose from the vacuum valve and connecting it directly to a small funnel and adding a little gas, then reconnecting the fuel line to the valve and adding fuel to the tank. However if you don't know what you're doing, just try to follow whatever instruction came with the scooter. Use premium gas. Most scooters seem to be setup to run on 91 octane fuel. The final point of assembly is to check everything. Check the tire pressures, check that every bolt and nut you can see is tight, especially the ones holding the exhaust and muffler - and the wheels! Look around for lose wires or rubber hoses that don't seem to be attached to anything. So you buy a scooter and something breaks. Who is going to fix it? Well, if you've bough in person from our retail store in California,? we have access to parts, shop manuals and we will have mechanics trained to fix your scooter. All you have to do is bring them in. But what if you are located outside of California, we have a few suggestions for you. You can try contacting local motorcycle (or better still, scooter) repair shops. If they are not very enthusiastic about working on a Chinese scooter, no worry! Have them contact our tech support department directly. We will make sure they will have the easy access to our spare parts and the technical support they need. Remember, we are the only company who actually carries all common parts in stock. You might also get some help from a lawn mower repair shop. They are used to working on small engines and the engine in a scooter isn't all that different from the engine in a lawn mower. You can also try snowmobile and ATV repair shops. It's not a bad idea to keep a few spares (such as a spare spark plug and CVT belt) on hand, just in case you need them (and eventually, you will). It's a good idea to remove the CVT cover on your new scooter and read the number on the belt BEFORE you need to change it. Belt sizes vary, even on the same nominal scooter "model" and by the time it fails, the size markings may have worn off! The belt size is usually three numbers such as "835-20-30". This would mean the belt is 835mm long, 20mm wide and has a cross section with a 30�� bevel angle. The best way to avoid needing repairs is regular maintenance, which means changing the oil regularly, changing the fuel filter and spark plug at the proper intervals, checking the CVT belt and air filter, checking the tires and going around the scooter at least once a month and making sure that all the bolts are tight (especially the bolts holding the muffler on). Use the recommended grade of gas (usually higher than 90 octane for most Chinese scooters) and add fuel stabilizer if the scooter isn't going to be driven for a while. Though you won't find individual repair manuals for every different Chinese scooter, they are all pretty similar and many use the same engines and transmission parts.. There are a couple of books which may help. The Haynes guide is probably the best general reference for the repair of "generic" (i.e. Chinese) scooters. The "Complete Idiot's Guide to Motor Scooters" is pretty basic and really doesn't give much detailed information, though it's not a bad introduction to scooters if you really know nothing at all about them. If your scooter won't start it due to one of the above not being present. Before you start troubleshooting, make sure there is gas in the tank by actually looking into it. Don't just trust the gas gauge! The rear (left) brake lever has to be squeezed. The starter button must be pressed. Some scooters may have other interlocks on the front brake or the center stand. Check your owner's manual to make sure that you are doing all you need to?? complete the electrical circuit which enables it to start. If the scooter doesn't turn over when you've done all the required operations, there's an electrical problem with the battery. Make sure the battery is charged. If it is, make sure the fuse hasn't blown. If it hasn't, check to see if you are getting voltage to the starter motor terminals. If you are, the starter motor is likely defective. Many scooters have a kick start (see your manual). If the battery is OK and the starter motor doesn't work, try kick starting it. It's usually not too hard. My scooter usually starts OK on the 2nd or 3rd kick. If the scooter does turn over but still doesn't start you have to check for a spark and make sure gas is getting to the engine. To check for a spark, remove the spark plug from the cylinder, hold the tip of the plug against the cylinder head and crank the engine. You should see a spark across the gap. If you don't, there's a problem with the ignition. Could be a faulty coil or electronic ignition module which will have to be replaced, or it could just be a lose wire. If you do have a spark, you need to check the gas. Make sure there is gas in the tank first! If there is you need to check the fuel valve. Most scooters use a gravity fuel feed by locating the fuel tank higher than the carburetor. The fuel usually then flows through filter and then through a vacuum operated valve. The valve has three hoses connected to it. One if from the fuel tank and is for the gas going in, one is connected to the carburetor and is for the gas coming out and one goes to the engine manifold which provides a vacuum. If you disconnect the hose from the carburetor, fuel should run out when you crank the engine (be careful to catch the gas if you do this and don't do it with a hot engine). If you don't see gas the fuel valve may be faulty. You can try applying a vacuum to the control port of the valve and see if the fuel flows. Sucking on the line is one way to do this (but make sure it's the vacuum line, not the gas line if you try this!). If you are getting a spark and you are getting gas to the carburetor and the engine is turning over on the starter OK, it's possible that the electrically operated automatic choke has failed. It's supposed to operate when the engine is cold, but if it's stuck or burned out, the mixture will be weak and the scooter probably won't start. The automatic choke is usually a black cylindrical object attached to the carburetor with a couple of wires coming out of it as shown on the left. It's the only electrical powered component attached to the carburetor, so it's usually not hard to spot. If you have a voltmeter you can measure the resistance across the leads of the choke. It should be somewhere in the region of around 10 or 20 ohms. If it's an open circuit, it's burned out and will need to be replaced. If it seems to be OK it may be stuck, or the wiring to it may have a problem. Check to see that it's getting voltage. It's also possible that there is a problem with the carburetor and if so you may need to remove it and clean it out. If the scooter has been sitting for a few months with gas in the carburetor, the gas may have evaporated and left a sticky "gum" behind that will prevent the carburetor from working properly and which must be removed. If the automatic choke is OK, the starter cranks the engine, there's gas and there's a spark then there may be an engine problem. You need to check the cylinder compression. You need a compression tester to do this. It screws in instead of the spark plug and measures cylinder pressure. When you crank the engine you should see a reading of around 150 psi or more. If it's 100 psi or less there's likely and engine problem (bad valve, bad piston, failed piston rings) which will need the engine taken apart to find. Probably the most common problems are a dead battery or carburetor problems due to bad adjustment or build up of gummy deposits. Carburetor problems usually come on slowly though. If a scooter is OK one day and refuses to start the next day, I'd first suspect an electrical problem. Make sure the fuse in scooter is good. My Scooter is Hard to Start? Check the gasket between the carburetor and intake manifold. Sometimes the gasket is bad and caused leak. Solution: replace new gasket or just toss the bad gasket away and screw carburetor back. Try to start again. ?My Scooter Bogs out When I Turn the Throttle ? Adjust the screw with the spring on the side of the carburetor. Clockwise to reduce gas flow and counterclockwise to allow more gas follow. Usually bogged down is caused too much gas going thru the carburetor. If that does not solve the problem, you need a new carburetor. My Electric Start Won��t Work? Make sure the squeeze the left handle brake while pressing the electric button. Is your key switch good? Is the electric start giving out a burnt smell? You might have a burnt out electric start. Sometimes there is no smell. The cause is lack of oil getting to the piston and needle bearing areas. Certain oil can��t cling on when the engine get too hot. As a result, the needle bearing fell apart inside and caused the engine to cease. You can buy a new a engine or try to rebuild it.? Be sure to always maintain proper engine oil levels to help prevent this from happening. How Do I Adjust My Brakes? ? My Scooter is Not Holding Its Charge? Gas scooter does have the ability to charge itself but slowly. An optional charger can be for $25 at any local automotive stores. Most new scooters would have a full charge and it would be display on the battery gauge. But in time, the batteries would loose their ability to hold a full charge. That's normal! Sometimes charging the batteries too much even when they are not low. Most of these batteries charging cycle are around 250-300 times. Sometimes store your scooter away for a long period would cause that as well. If the battery power drops beyond a certain point, the charger would not recognize it. Sometimes you could jump start the batteries by using a higher Amp charger. If the scooter idles well and runs fine at low speed, but has problems at high speed, the problem may lie inside the carburetor with the main jet. The fuel/air ratio at higher speeds is set by the jets inside the carburetor and to get at them the carburetor has to be removed and disassembled. This can be a tricky job as the parts are small and delicate. The good news is that these carburetors are quite cheap. You can get a new one for $60-$80, so if you can't make your scooter run smoothly and you don't like the idea of taking the carburetor apart, you can always replace it! Scooter maintenance is pretty important. It's even more important than on a car because the engine has to work harder and component failure can more easily lead to loss of control. Perhaps the most important and easiest item of maintenance is to regularly check the oil level and change the oil at frequent intervals. We suggest changing the oil at least every 1000 miles is a good idea. The oil capacity is less than 1 liter and so an oil change costs about $3 and takes about 5 minutes. It's cheap insurance to keep your engine running for as long as possible. Most of the manual recommends changing the transmission oil every 2000 miles or 6 months. Since it only takes about 100ml of oil (which costs under $1) and takes a couple of minutes to do, don't skimp on transmission oil changes. We recommend using Castrol 10-30W engine oil and Castrol 80/90 transmission gear oil. Which oil you use is less important than how often you change it, though you probably should avoid using pure synthetic oil in a scooter, especially during the break in period. Once you have several thousand miles on the engine, a synthetic blend may be OK, but you should still change the oil regularly. Checking tire pressure regularly is also very important. Unlike a car, a scooter only has two wheels and tire problems can lead more easily to a loss of control and possible injury, so making sure your tire pressures are correct makes sense. Though a standard maintenance schedule calls for checking bolt tightness every 1000 miles or 6 months, it certainly doesn't hurt to do it more frequently. Check/clean/lubricate brake and throttle cables. What we recommend is to use the "ride it like you'll ride it (but gently)" technique. That involves riding pretty gently for the first 25 miles (speed under 30 mph, revs under 4000 rpm), then changing the original Chinese engine and transmission oil. The original oil might be OK or it might be "cheap and nasty". You have no real way of telling, so change it, then you'll be sure. You may replace the original oils with Castrol GTX 10-30W in the engine and Castrol Hypoid 80/90 gear oil in the transmission. For the next 175 miles (25-200) you still should take it quite easy with no rapid acceleration, keeping the speed down below 40mph or 5000 rpm, then go ahead change the engine oil again. Since there is no real oil filter (the "filter" is just a mesh screen), changing the oil during the break-in period makes sense since it removes small metal particulates that the filter just won't catch. During the break in period try to vary the engine speed as much as possible. This isn't particularly easy with a CVT scooter since they tend to try to keep the revs pretty constant and change speed by changing the gear ratio. It is good to speed up and slow down and not ride at a constant throttle setting for long periods. Also avoid rapid starts and let the engine warm up for about a minute before moving off when you first start the scooter from cold to allow the oil to circulate. This is good advice even after the initial break-in period too. It's probably not a good idea to use synthetic oil during the break in period. Good old dino (dinosaur!) oil is probably what you should use. Synthetic oil may be too slippery and not allow the parts (mainly the piston rings) to "bed in" properly. We suggest to stick with the manufacturer's recommendation (typically 10-30W) until after the break in period of 500-1000 miles. Then you can switch to a synthetic blend if you want to. Amsoil make a synthetic oil which they claim is specially designed for scooters. Our break-in technique is to gradually increase speed over the next 300 miles (201-500) and at 500 miles do another oil change. After break-in, the engine oil should be changed at least every 1000 miles as part of normal routine maintenance. What we are going to describe is how to change the engine and transmission oil in a 150cc Chinese scooter with a 4 stroke engine. The procedure should be pretty similar on 50cc and 250cc models with 4 stroke engines. 2 stroke engines mix gas and oil and so have no engine oil to be changed. We'd recommend changing the engine oil at least every 1000 miles, and the transmission oil at least every 2000 miles. Regular oil changes are the easiest and cheapest way to maximize the life of your engine. Scooters take so little oil that it should cost less than $5 to do and once you know how to do it, it should take you more than 10-15 minutes. It's time and money well spent. The first thing to do is to warm up the engine. Run it for a few minutes so that the oil is warm. That way it will flow easier. If you run it until the engine is hot, or you change the oil after you come back from a trip, that's OK, but you run the risk of burning yourself on the exhaust or with the hot oil. Be careful. Find some level ground and put the scooter on its center stand. If the ground isn't level you won't get an accurate reading of the oil level when you put the new oil in. To change the engine oil you'll need a wrench to remove the oil drain plus, a flat dish container with a capacity of about 1/2 gallon and a funnel. First remove the "dipstick" which you use to check your oil. We'd also recommend you wear rubber gloves, or at least on? the hand you use to remove the oil drain plus. On most scooters there is a spring which will push the plug out when you have fully unscrewed it and oil will pour out of the drain hole, all over your hand. It's just messy if the oil is cool or warm, but if the oil is really hot it will burn your hand. So wear a glove to be safe. Put the container for the used oil below the drain plus, loosen it with a wrench and then slowly unscrew it by hand. As it comes lose, the spring will push it down, so be prepared for that. You may drop the spring and a small wire mesh filter into the draining oil, but that's OK, you can fish them out later! Give the oil a minute or two to drain out. Make sure the filter is clean and then put the filter, spring and drain plug back. The spring sits on the plug and the filter sits on top of the spring with the mesh basket inside the spring. Now you can add the new oil. It goes into the same hole as the "dipstick" fits in. You'll almost certainly need a small funnel to get oil into the filler hole without spilling it. Check your user manual for the recommended oil type, but on most Chinese 4 stroke scooters, regular 10-30W or 15-40W engine oil is used. You can use Castrol GTX 10-30W. You can get a 5 quart bottle for around $12 (try WalMart) which is good for at least 5 oil changes on a 150cc scooter. You can also use a synthetic oil blend if you wish, though pure synthetic oil isn't usually recommended. On a 150cc scooter you'll need about 0.8-0.9 liters which is just under 1qt. As you add the oil, check the level with the dipstick from time to time and fill to the recommended level. When you have the right level, screw the dipstick back in and you're done! Changing the transmission oil is also very simple. Most scooters recommend changing the oil at least every 2000 miles. At the rear of the CVT on the left side of the bike there are drain and fill plugs for the transmission. Place the oil drain container under the drain plug. Now remove the filler plus first, then the drain plug and about 100 to 200cc of oil will drain out. There should be a sealing washer between the drain plus and the transmission casing. Make sure it's there and then screw the drain plug back into the transmission case. To refill the transmission, you squirt oil into the fill hole until it runs back out. That's your level check! Use the recommended oil, which in most cases is 80W-90 gear oil (though a few bikes may recommend using engine oil). To get it into the small hole you can use a small funnel and a short length of small diameter rubber hose. All you need is something to squirt 100-200cc of oil into the hole. You may be able to buy the oil in a plastic bottle with a long plastic tip, which you can use to directly squirt oil to the transmission fill hole. When it starts to run back out, it's full and you can replace the fill plug (note that it too should have a thin aluminum sealing washer). Now run the engine for a minute or two, then check the oil level and add more if necessary. Check for any leakage around the drain plugs. If all looks OK, you're done for another 1000 miles. If there's any one component that's more likely to go out of adjustment on your scooter, it's the carburetor. If it does go out of adjustment lots of things can happen. It can make the scooter hard to start, it can make the scooter slow to accelerate, it can cause the scooter to idle badly and stall or it can make the scooter idle fast so that it's trying to go all the time and needs the brake to hold it stationary. None of these things are good. What the carburetor does is regulate the amount of fuel and air which are supplied to the engine. To go faster you need more fuel and more air and they must be in the right proportion. The fuel also has to be atomized as much as possible (i.e. be supplied in tiny droplets). The carburetor controls all these functions and generally does it quite well. Without removing and disassembling the carburetor, there are only two adjustments you can make, but these should take care of most minor problems. The first is the adjustment of the idle speed. If you've bough a fully assembled and tested scooter from a local dealer than they should take care of all the required registration. All you have to do is pay the dealer and your fully registered and inspected scooter should be delivered to you. However if you've bought a scooter through our website you'll have some work to do. In most of the states you'll need a manufacturer's statement of origin (MSO), which the dealer should provide. This is a certificate from the scooter manufacturer which has the make, model and VIN (Vehicle Identification Number) on it and is proof that the scooter meets all applicable DOT and EPA standards for registration in the USA, and in particular for the state you are trying to register it in. You also need proof of insurance, the dealer invoice and a valid driver's license. Then you simply drive to your local DMV office, wait in line for 20 minutes, get the forms, fill them out, wait in line for another 30 minutes and if all your documents are in order you get a title and your motorcycle plates (moped plates if your scooter is under 50cc). Then you have to take your scooter to an inspection station along with a yellow card which the DMV office provided, proof of insurance and a valid drivers license (with motorcycle endorsement if the scooter is over 50cc) and the inspection station will give you an inspection sticker good for 4 years. They may also check that your helmet meets local requirements (DOT certification etc). The certificate of origin is an official title document that releases the scooter from the importer to the dealer. The dealer released the scooter to you. All documents for every street legal vehicle are usually sent in the mail 2 to 4 days after the scooter is shipped. Please note, we do not mail your MSO and Bill of Sales alone with your scooter, there is a possibility of receiving your registration information before you even receive your vehicle, since the trucking company usually has longer transit time frame compares to first class mail service. We request each customer to confirm your VIN by email if you don��t receive your registration documentations 7 business days after receiving your street legal scooter or motorcycle. To confirm: simply send an email to customerservice@countyimports.com including the VIN in the subject or the body. We will have one of our professional title representatives to process your title request immediately. MSO request generally requires 3-5 business days to process, and it is FREE of charge! Vehicle Identification Number is usually located on the front of the steering stem or at the bottom of the floor mat, where you would place your foot. The VIN number consists of a 17 digit alpha numeric number, and usually has the engine number located on the same plate. The plated steel mount can be either black or steel. Each MSO Title certificate will be accompanied by a Bill of Sale and Invoice for registration purposes. If your state requires your MSO to be notarized, please indicate on your MSO request form. There is a $25.00 fee for each notary. We offer overnight service for an additional $55.00. Please note: overnight service only guarantees we mail your documents via overnight service. We do not guarantee your MSO will be prepared and processed overnight. 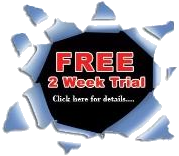 There is $20.00 fee for each replacement MSO. Once you receive these documents, you need to take them with your scooter or motorcycle to your local DMV (Department of Motor Vehicle). They will inspect the bike and compare the VIN (Vehicle Identification Number) on the paperwork to the one on the scooter. They will inspect the vehicle as well. Your DMV will collect the sales tax as well as any applicable registration fee and will issue a license plate for your vehicle. Simple, we make customer satisfaction our top priority. We take care of the customers that buy from us - GUARANTEED! 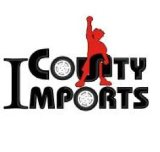 Countyimports.com is dedicated to providing our customers with the best service possible! We will continue to strive to make COuntyimports.com your first choice for the best products, fast shipping and superior customer services. Please don't let our Super LOW Prices scare you - we are the manufacturer and sell direct to you. By eliminating the middle man, we are able to offer you these incredibly low prices and a Low Price Guarantee for such high quality items. We've done the leg-work to ensure that the products we carry are top quality. We compare our pricing to the competition and offer great prices on everything we sell. No sales tax collected! (only orders shipped to California are charged sales tax*). 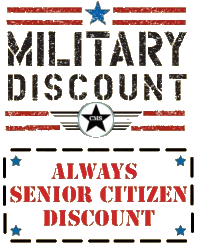 We offer volume discount, the more you buy, and the more you save! We may not have the absolute lowest prices on the Internet. You simply just can NOT be the cheapest and still offer the kind of inventory and service we provide. Do you really want to buy a product from a guy running a business out of storage or his garage? Sure, you may be able to find someone running a rock bottom prices outfit, but will they support it? Do they answer their phone? Do they honor warranties? Will they be around tomorrow? We provide you with the very best products and service and fulfill the commitments that we make to you. We will attempt to do whatever is necessary to meet your needs and exceed your expectations-that is our promise! We are established and dependable- For over 5 years, we have gained tremendous experience serving thousands of customers in high quality ATVs, dirt bikes, go karts, and scooters. Our knowledgeable staff is enthusiastic, helpful and courteous; we have a great attitude and want your business. We care about our customers and make ourselves easily accessible. Our toll-free number is 1-866-795-5461 Your satisfaction is our #1 concern. Our customer service department answers emails 24 hours a day. We not only help you choose the best product for the job, we'll provide support to help you install it and to get it working. Our Knowledgeable staff and Special Project Support employees know our products, and we will make sure you get the right product for the job. Unlike many internet stores that just sell products, we actively use them! 4. Parts! Parts! Parts! & extremely helpful technical supports team just for you! 5. We do NOT Drop ship our orders! Unlike most of the On-line companies, we ship our products directly out of our 70,000 square foot warehouse. All of our products are well protected and shipped in a metal frame. We inspect every item before it is packaged and shipped from our warehouse to make sure you will receive the best product possible. All credit card transactions are conducted on a secure server. We confirm ALL orders prior to processing the order to ensure that a fraud is not being committed by calling the cardholder listed on the credit card / ATM card. We will immediately send you a confirmation email upon receipt of your order. Your order is usually processed within 2 to 4 business once your order is confirmed. We ship your order directly to your door. No additional charge for residential delivery, lift gate service, or delivery notification service. We understand that you want to be part of the prices throughout the order and delivery of your order. We always strive to provide you the best shopping experience possible. You will know the status of your order every step of the way. We believe that it is important for us and you to know your order status from the moment your credit card is submitted for authorization and verification, to the arrival of your product at your door step. 8. We respect your privacy. 9. We make your purchase as easy as possible! For your convenience and protection, we accept Visa, MasterCard?, American Express, Discover, Pay Pal, Wire transfer, Money order, Cashier Check and Western Union. We want you to purchase your ATV's, bikes, scooters and Go Karts from us and we want you back......... OFTEN! We guarantee SUPERIOR PRODUCTS & CUSTOMER SERVICE! 4. Always ride your scooter Off-Road & Stay away from all cars and any other vehicles -Cars and scooters don't mix, especially for younger riders. Smooth, paved surfaces are best - avoid bumpy, uneven, wet or rocky ones. Schoolyards, parks, paved trails are examples of safe places to "scoot"! Stay away from Sand, Gravel, Water and Dirt �C Try to keep your scooter on smooth surfaces. -Avoid jumping off of curves.